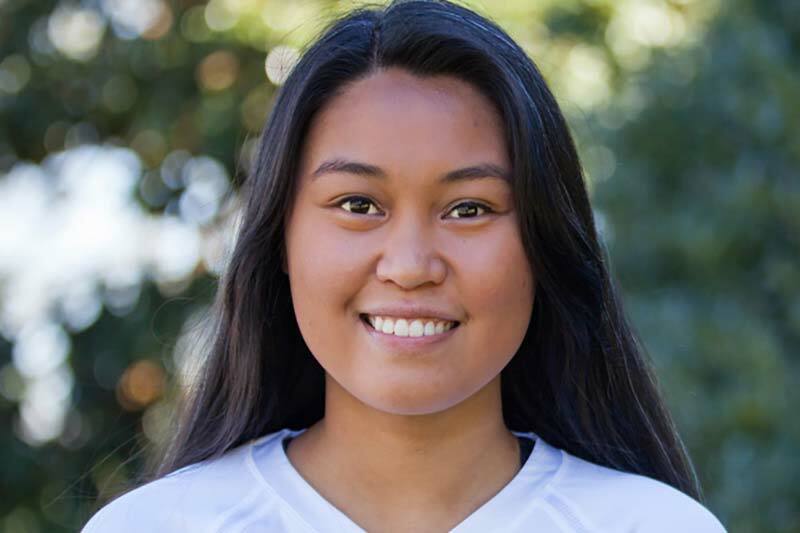 Jasmine Aguinaldo has always had a heart for volleyball, roller coasters, and people. Coming to Meredith College presented her with the opportunity to dive into those passions and more. The senior from Cary, N.C., knew she wanted to pursue a degree in engineering, but also wanted to continue playing the sport that she has loved for so much of her life. At Meredith, she was able to be a member of the Avenging Angels volleyball team and participate in the dual degree engineering program. Jasmine will graduate in May with a degree in mathematics from Meredith and a degree in mechanical engineering from North Carolina State University. Having those degrees will put her one step closer to working on roller coasters – a fascination she has had for a very long time. Pursuing two degrees and being a student-athlete hasn’t been easy for Jasmine, but she has still managed to take advantage of all that Meredith has to offer. The Honors scholar was a member of Impact Raleigh and Alpha Lambda Delta honor society. She also served as a service co-chair. On the volleyball court, Jasmine was a co-captain and assisted with Meredith volleyball camps. One of the biggest challenges she faced at Meredith was losing her sister who passed away during Jasmine’s sophomore year. Her friends and teammates were her biggest support system. It was one of the hardest things for her to talk about, but having those people around her brought comfort. Besides volleyball and roller coasters, Jasmine has a passion for people and enjoys giving back to the community. Through her church, she has led a student ministry, served as co-lead for a discipleship group, and has participated in several national and international mission projects. Jasmine has served communities in New York and Durham including working with World Relief. Her international adventures have taken her to South Africa and Serbia. After graduation Jasmine will put her engineering career on hold and continue her work overseas. She will head to South Asia where she will serve alongside the people for two years. In her role, she will interact with various cultures and participate in cross-cultural exchange. Another opportunity for her to give back and change lives.